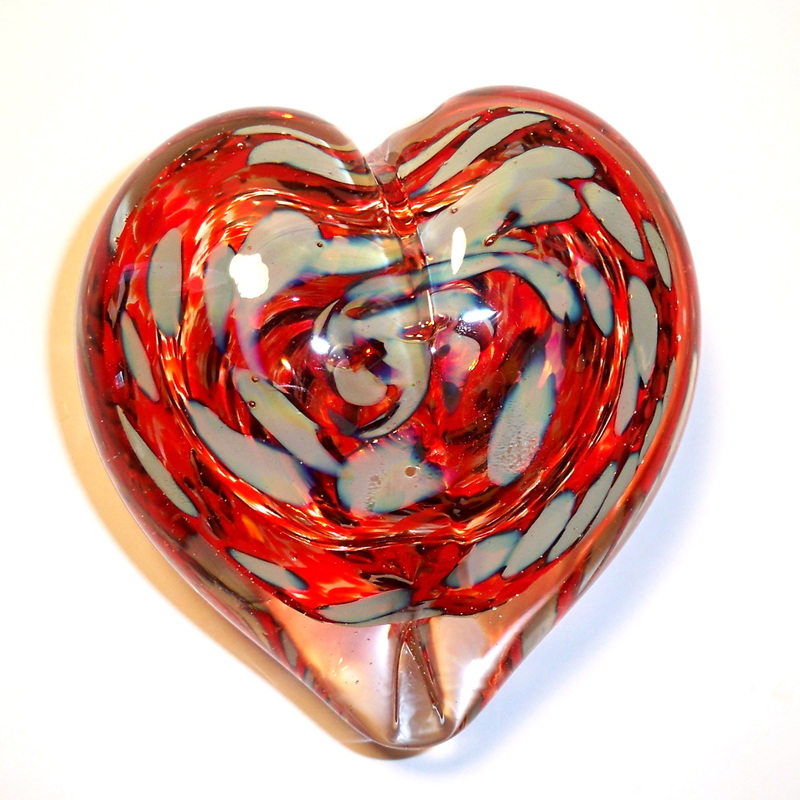 These blown glass hearts are a seasonal favorite. 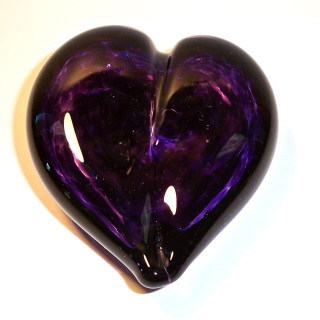 Blown glass paperweights to hold down all that matters. 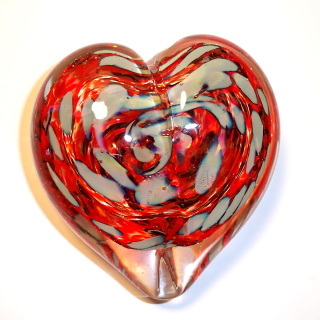 We make these in a variety of colors, so please check out the offerings here below. Each is an average of 3.5" across and flattened on it's base. Blown Glass Paperweight. 3.5" across. 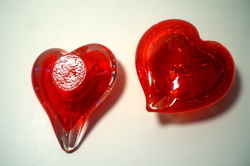 Cherry Red. 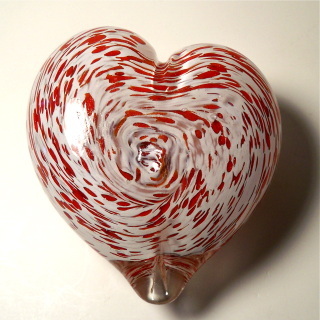 Red and White Spiral Heart Paperwedight. 3.5 inches across. 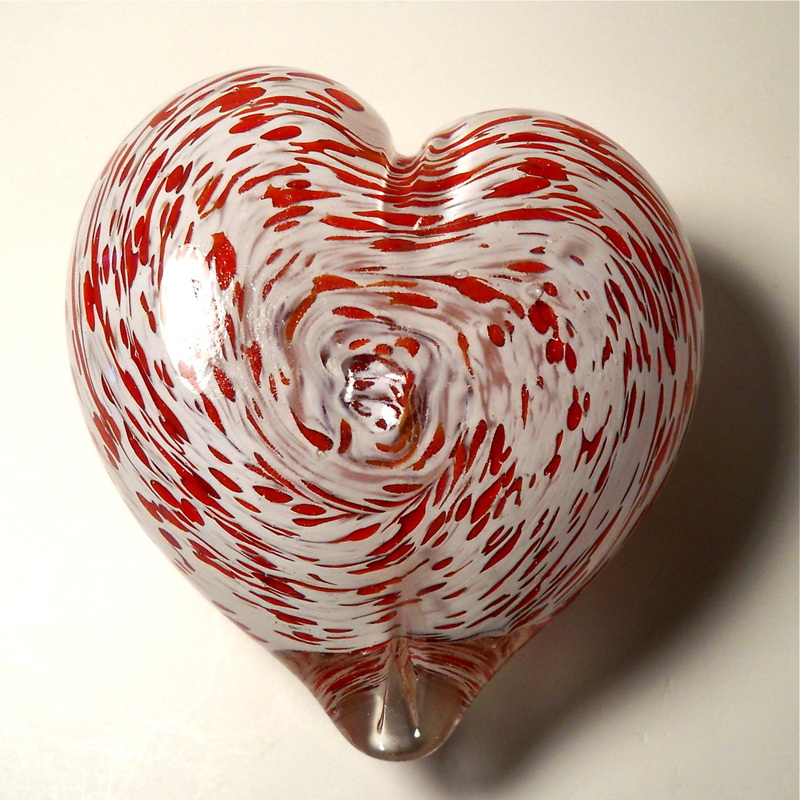 White Red Frit Heart paperweight. 3.5" across. 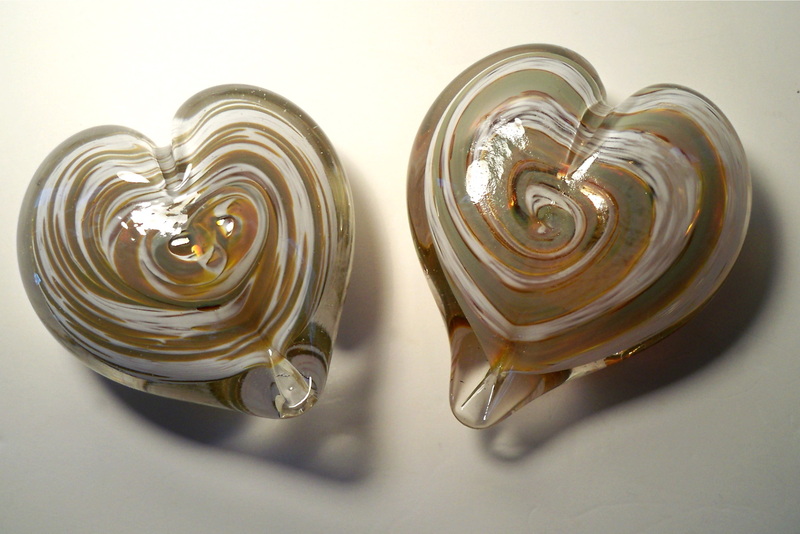 White Gold Spiral Heart Paperweight. 3.5" across. sold individually. 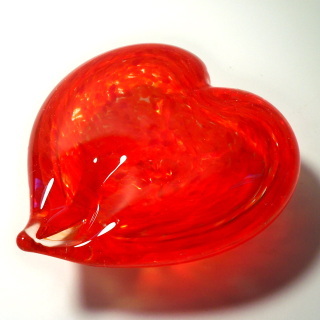 Red Gold Heart Paperweight. 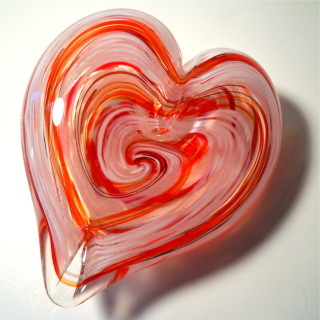 3.5" inches across.